Once you can swim, a whole host of water sports become available to you. Learn more in our swimming and water sports section. Whether you give them a go just for fun or become a serious athlete, once you start there’ll be no stopping you!Our experienced sailing instructor will teach you the basics and disciplines of sailing, paddle boarding and kayaking. 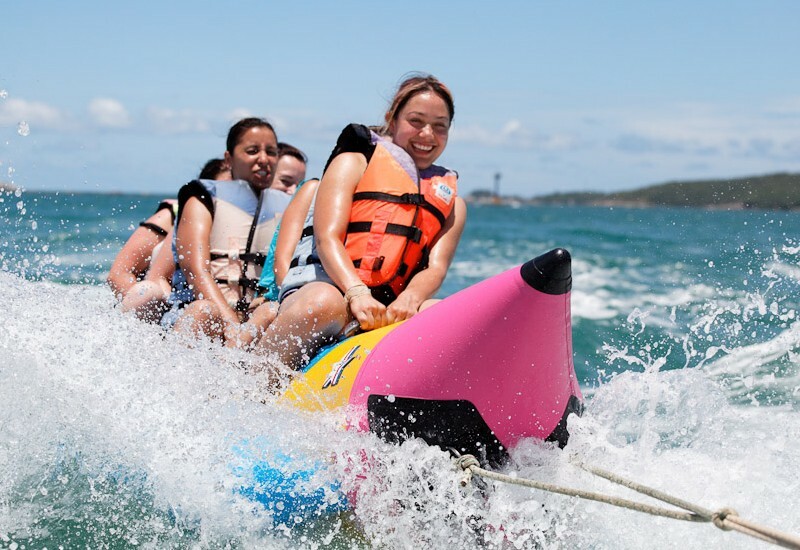 Windsurfing, Water skiing and Mono-skiing, Jet skiing, Power boating and Banana Boats are also available.